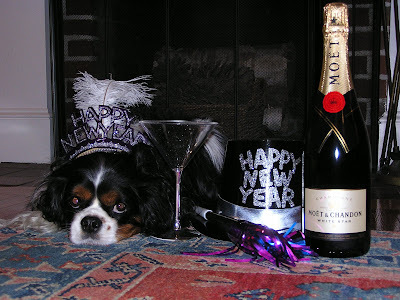 While I am out, Frank will be watching: Times Square Live Webcam and New Year's Eve around the world. Legal historians tend to cringe when discussion turns to SSRN rankings. Legal history as a field doesn't do so well on such measures. There are many reasons, of course. Many of us write books, and of course the books aren't on SSRN. Peer-reviewed journal articles often can't be posted on SSRN. And on and on. But we are probably also creating the disparity: I suspect that we don't download each other's work as frequently as, say, the law & econ folks do. Should we bother about the numbers? Even though he notes various caveats, here, including the over representation of certain fields (corporate law and IP), Brian Leiter sometimes posts download rankings on Leiter's Law School Reports , both for schools and for top scholars. Here's August 2005 and here's February 2006. Last September, he simply linked to the rankings, calling them "meaningless chatter," here. There are many eminent legal history and law and humanities scholars. They are not on the lists -- not even the ones who do quantitative history! In spite of the limitations of this data, we have probably all heard, in serious conversation, download data discussed as a measure of scholarly impact. And there is even an SSRN paper on this very topic. What's up with legal history? It is not simply that there are more papers uploaded in other fields, although that is true. The Law and Economics SSRN journal has a total of 4006 papers, as compared with only 1931 papers in the Legal History SSRN journal. The more important phenomenon, however, is that there is a much higher rate of downloads for law and econ than for legal history. As of 6 pm on December 30, there were 796,509 downloads on the Law and Economics list, and 178,585 in Legal History. This shakes out to about two times as many downloads for every Law and Economics paper. The difference seems not so great when you look only at the most recent 500 papers: there are 27,904 downloads in Law and Econ and 23,854 in Legal History, or about 56 vs 48 downloads. Not so bad, at least in terms of comparisons between fields. But the top legal history papers overall, in terms of downloads, include papers by the legal historians Richard Posner, Henry Hansmanm and Reinier Kraakman. In other words, folks in other fields cross-post on the Legal History list. Such scholars may be overrepresented among the higher downloads. And it is hard to know whether the most recent downloads represent a trend, or whether law and econ papers continue to accumulate more downloads over time, while legal history papers tend to stall out. It may really be best to ignore all of this, but others don't. We often talk about whether measures of merit are socially constructed, etc. This is one measure of who and what is "top" that is, in fact, constructed (or not) by you. So do something this year for legal history. Make your New Year's Resolution an SSRN-Download-A-Day. Just go here, click on any paper that looks interesting, and download it. Or go here, and search for your favorite legal historian, and download their papers. To find the most current papers, go here. You may still cringe when Brian Lieter posts the download data, but at least you will have done something about it. And you will have encountered some wonderful new papers along the way. If you are looking for a worthy place to make some last-minute end-of-the-year contributions on-line, just a reminder that I posted some ideas here on ways that you might support legal history. Ralph Luker at Cliopatria has updated the Cliopatria History Blogroll. It is not accessible on the side of the Cliopatria blog, but must be reached from the blog by clicking the link under "Cliopatria's Appendices." Did you know that Geoffrey Chaucer Hath a Blog, and so does A. Lincoln? There is an entire category of "War and Warrior" blogs, including a very substantive and helpful blog on Civil War Memory, which has a post now on best Civil War-related books for 2006. There are history blogs from other parts of the world, in other languages, such as this interesting Peruvian blog, El Reportero de la Historia. A blog on Postcolonial Iraq has other Iraqi links, including blog links. (Warning -- this one takes a while to load, at least today, but the link is good.) And there are blogs on everything from Disney History to Egyptology to 18th Century Cuisine. Somewhere on this very long list is a blog for you. The American Historical Association has announced the Presidential Address of Linda K. Kerber, Univ. of Iowa, at the Association's annual meeting in Atlanta, January 5, 2007. Her topic is: "The Stateless as the Citizen's Other." She will begin, she writes, "by asking the playful but deeply tragic question: what passport could the ill-fated child of Madame Butterfly and Captain Pinkerton carry? Normally historians do not turn to an opera libretto for inspiration, but the story, which has captivated audiences throughout the world for a century, and which was regenerated in our own time as Miss Saigon, carries with it hints that help us map the landscape of statelessness in U.S. history, from the founding generation to the present. Although statelessness is often treated by U.S. historians as belonging to other national histories—gypsies, Jews in Europe before 1945, Palestinians today—it has also lurked in the American national experience. Among those most vulnerable have been the enslaved, Native Americans, and U.S.-born women married to foreign men whose countries did not embrace them. When Hannah Arendt wrote memorably about the subject a half-century ago, statelessness was technically a term of the legal art, describing the limited class of people who lack a passport. In our own historical moment some privileged groups even enjoy multiple passports, yet the Fourteenth Amendment's guarantee of birthright citizenship has come under severe attack, a threat that makes likely the increase of statelessness. As protections of citizenship erode for trafficked women and other laborers and for refugees who are refused asylum, the ranks of the stateless increase—in experience if not always explicitly in law. The stateless are constructed even as citizenship is made more accessible. Indeed, the meanings of citizenship—particularly in terms of access to state protection—may be changing. I shall try to examine the vulnerabilities of American citizenship in historical context, with attentiveness to the interaction between the United States and the world." In June, 1961, the U. S. Supreme Court delivered its opinion in Mapp v. Ohio, thereby launching the "due process revolution" in which the Court, under Chief Justice Earl Warren, expanded the universe of rights and protections guaranteed to individuals in the criminal justice system. Justice Tom C. Clark's majority opinion held that the "exclusionary rule," by which judges barred evidence gathered in the course of violating the Fourth Amendment's protections against unreasonable searches and seizures from being entered in federal trials, was constitutionally required and thus also applied in state criminal proceedings. The Mapp ruling was controversial in its time and has remained so to the present day, with courts, legislatures, and even presidents entering the fray at various times attempting to redraw the lines circumscribing law enforcement that Mapp established. On one side were those holding that the exclusionary rule is imbedded within the meaning of the Fourth Amendment; without it, protections against unreasonable searches and seizures have no practical effect. Their opponents insisted that the exclusionary rule is not constitutionally mandated at all but rather is a "judicially created" rule of evidence and thus states must be allowed to decide for themselves whether and how it will be enforced. 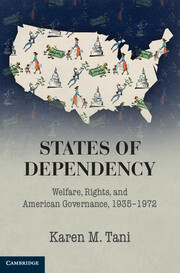 Mapp v. Ohio is the centerpiece of Carolyn N. Long's careful, detailed study,but the book is about much more than the case itself, for Long also provides an extensive examination of the complex and shifting legal and political contexts in which the exclusionary rule evolved, both before and after Mapp. 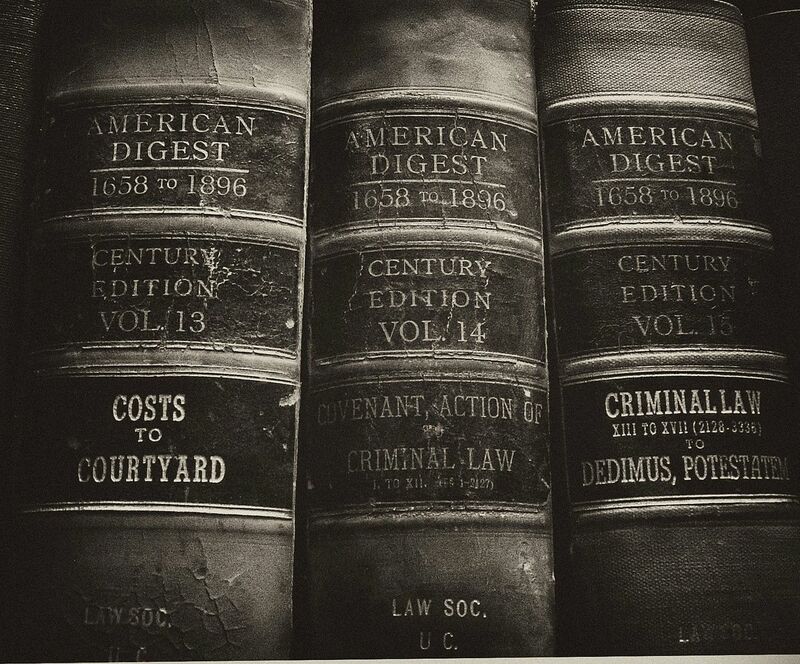 Start your New Year with Legal History! James Simon, New York Law School, will be speaking on his new book, Lincoln and Chief Justice Taney: Slavery, Secession, and the President's War Powers, on C-Span Book TV, January 1, 7:15 a.m. Eastern time. A description is here. For info on how to watch live on-line or to access the Book TV video archives, click here. The clashes between President Abraham Lincoln and Chief Justice Roger B. Taney over slavery, secession, and the president's constitutional war powers went to the heart of Lincoln's presidency. James F. Simon, author of the acclaimed "What Kind of Nation" - an account of the battle between President Thomas Jefferson and Chief Justice John Marshall to define the new nation - brings to vivid life the passionate struggle during the worst crisis in the nation's history, the Civil War. The issues that underlaid that crisis - race, states' rights, and the president's wartime authority - resonate today in the nation's political debate. Lincoln and Taney's bitter disagreements began with Taney's Dred Scott opinion in 1857, when the chief justice declared that the Constitution did not grant the black man any rights that the white man was bound to honor. In the famous Lincoln-Douglas debates, Lincoln attacked the opinion as a warped judicial interpretation of the Framers' intent and accused Taney of being a member of a pro-slavery national conspiracy. In his first inaugural address, President Lincoln insisted that the South had no legal right to secede. Taney, who administered the oath of office to Lincoln, believed that the South's secession was legal and in the best interests of both sections of the country. Once the Civil War began, Lincoln broadly interpreted his constitutional powers as commander in chief to prosecute the war, suspending the writ of habeas corpus, censoring the mails, and authorizing military courts to try civilians for treason. Taney opposed every presidential wartime intiative and openly challenged Lincoln's suspension of the writ of habeas corpus. He accused the president of assuming dictatorial powers in violation of the Constitution. Lincoln ignored Taney's protest, convinced that his actions were both constitutional and necessary to preserve the union. Almost 150 years after Lincoln's and Taney's deaths, their words and actions reverberate in constitutional debate and political battle. Lincoln and Chief Justice Taney tells their dramatic story in fascinating detail. Studies in Legal History is published in association with the American Society for Legal History. The series consists of books that grapple with key questions in legal history. The series welcomes works of unusual distinction by both senior and junior scholars. Most of the published volumes in the series deal with American legal history, though a significant number are on European topics. There are no chronological, cultural, or geographical limits on volumes in the series. Law in Mandate Palestine was not merely an instrument of power or a method of solving individual disputes, says Likhovski. It was also a way of answering the question, "Who are we?" 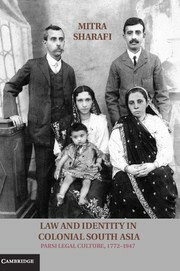 British officials, Jewish lawyers, and Arab scholars all turned to the law in their search for their identities, and all used it to create and disseminate a hybrid culture in which Western and non-Western norms existed simultaneously. Uncovering a rich arsenal of legal distinctions, notions, and doctrines used by lawyers to mediate between different identities, Likhovski provides a comprehensive account of the relationship between law and identity. His analysis suggests a new approach to both the legal history of Mandate Palestine and colonial societies in general. Meanwhile, Likhovski has just posted a related SSRN paper, noted here. I just finished a manuscript, and here's how my dog, Frank, helped. Here's hoping your family members have a higher regard for legal history. The journal American Studies has a special issue on Indigeneity at the Crossroads of American Studies, also announced as "The Indian Today," Revisited, with articles on tribal sovereignty and on American Indian citizenship. The table of contents is here. This essay, to be published in Civil Rights Stories (Myriam Gilles & Risa Goluboff, eds., forthcoming 2007), tells the story of US Airways v. Barnett. Barnett, which involved an employee's request that his employer modify its seniority system as a disability accommodation, the Supreme Court confronted for the first time the Americans with Disabilities Act's requirement of reasonable accommodation in employment. Barnett ultimately offers a window into three of the most important issues to understand about the ADA's accommodation requirement: the requirement's relationship to more traditional antidiscrimination mandates; its seemingly zero-sum nature; and the limits of its usefulness in a world of reduced job security for everyone. Likhovski on "The Failed Jewish Legal Revolution of 1948"
At certain moments in Israel's legal history, Jewish lawyers were forced to choose between their commitment to the professional interests of their guild and their commitment to Jewish nationalism. This dilemma was especially apparent in the debates surrounding what can be called the failed Jewish legal revolution of 1948, when Israeli lawyers had to decide whether they wanted to maintain the legal status quo by retaining the legal system that Israel inherited from the British rulers of Palestine, or whether this legal system would be replaced by one that was connected in some way to Jewish law (the Halakha). What choice did Jewish lawyers make, and how was this choice received by lay Israelis? The paper tells the story of the attempts to create a legal system based on Jewish law in mandatory Palestine and in Israel immediately after independence in 1948. It analyzes the reasons for the failure of these attempts. First, it discusses some practical factors that inhibited legal change in 1948. It then discusses the role of Jewish lawyers in maintaining the status quo. Finally, it argues that professional legal opposition to Jewish law alone cannot explain the failure of the Jewish law project. Professional opposition to Jewish law succeeded only because it resonated with wider culture images prevalent among lay Israelis in 1948 and afterwards. By manipulating these cultural images, lawyers successfully thwarted the linkage of Israeli law to Jewish law. Every year, Choice subject editors single out for recognition the most significant print and electronic works reviewed in Choice during the previous calendar year. Appearing annually in Choice’s January issue, this prestigious list of publications reflects the best in scholarly titles and attracts extraordinary attention from the academic library community. The 2006 feature includes 640 titles in 54 disciplines and subsections. The full list is here. A subscription is required for access, but free trial subscriptions are available. "The ancient world, and in particular the later Roman Empire, can provide us with a laboratory for investigating what does and does not work in dealing with the interlocking issues of citizenship, ethnicity, and identity. It permits us to inform our understanding of emotionally charged phenomena from a more distanced and objective perspective. The concepts of cosmopolitanism and world citizenship go back at least to Hellenistic philosophies of the fourth and third centuries b.c.e. The Cynic Diogenes, for example, stated that he was "a cosmopolite": "a citizen of the world." The Stoics believed that the whole world constituted the only true city, whose citizens were of necessity "good" people. In the Roman Empire, in the early second century c.e., the Stoic philosopher Epictetus likewise spoke of being a "citizen of the world." Even the philosopher-emperor Marcus Aurelius (161–180) called himself a "citizen of the world-city," opining that "under its laws equal treatment is meted out to all." ...A close examination of the evidence...challenges the prevailing opinion and suggests that concepts of citizenship, from the personal, legal, and metaphorical perspectives, continued to play a vital role in defining personal and legal identity after 212 c.e. In particular, Roman citizenship continued not only to be a factor in how people perceived themselves, but also to entail legal rights that were available only to persons who were identified as "Roman citizens." The justice system has progressed considerably with regards to domestic violence over past few centuries. America has a long history of treating domestic violence differently from public violence. From the nation's founding through the mid nineteenth century, domestic violence jurisprudence was shaped by the common-law prerogative of chastisement, which allowed a husband to assault his wife within certain “reasonable” limitations. Though formal recognition of chastisement faded, twentieth-century jurisprudence replaced it with privacy justifications for avoiding enforcement of civil and criminal penalties in intramarital disputes. Recent rates, however, show enforcement of criminal penalties against perpetrators of domestic violence on par with, or even exceeding, enforcement in cases of public violence. Yet, as cases like that of Brett and Kim Myers demonstrate, echoes of that history can still be heard in today's legal system. The questions how domestic violence differs from public violence and why it might demand different legal treatment remain relevant. René Girard, a French religious anthropologist, argues in his seminal 1972 work, Violence and the Sacred, that violence is an inevitable element of society. Violence exists, and once aroused it threatens to snowball throughout society and cause chaos. Yet society uses ritual to alleviate violence on the theory that violence can be channeled into a sacrificial victim that, by being destroyed, can both provide an outlet for violence and restore social order. The American legal system has historically been unwilling to heavily penalize domestic violence - private violence - because, as I shall demonstrate, it has tacitly viewed victims of such violence as sacrifices providing an outlet against public violence. This Essay will explore the link between the Girardian model of sacrifice and the American legal system's historical treatment of domestic violence. In Part I, I will discuss the evolution of that treatment, looking at examples in the criminal justice system from police and courts. In Part II, I will turn to the Girardian sacrifice structure as a descriptive model of this domestic-violence tolerance, incorporating ideas from other ritual anthropologists. Finally, in Part III, I will explain how this new understanding can inform feminist theories of domestic violence and our practical understanding of the public-private relationship. Elizabeth Borgwardt, University of Utah, A New Deal for the World: America’s Vision for Human Rights (The Belknap Press of Harvard University Press). Anne Sarah Rubin, University of Maryland, Baltimore County, A Shattered Nation: The Rise and Fall of the Confederacy, 1861-1868 (University of North Carolina Press). Avery O. Craven Award for the most original book on the coming of the Civil War, the Civil War years, or the era of Reconstruction, with the exception of works of purely military history. Robert J. Schneller, Jr., Naval Historical Center, Breaking the Color Barrier: The U.S. Naval Academy’s First Black Midshipmen and the Struggle for Racial Equality (New York University Press). Richard W. Leopold Prize awarded every two years for the best book writt en by a historian connected with federal, state or municipal government. States, from the nation’s founding to the present. The practice of circuit riding by Supreme Court Justices is a concept as old as the federal judiciary itself, and has a storied history that spans the first 120 years of this nation's history. Yet the practice is also one of the least explored aspects of the Judiciary Act of 1789, and has been given little attention in the scholarly literature. In addition to exploring the history of circuit riding, this Article proposes its renewal by requiring Supreme Court Justices to spend at least one week per year hearing cases on the United States Courts of Appeals. As the Article explains, many of the reasons favoring abolition of the practice, such as the Supreme Court's crushing caseload during the late nineteenth century and the dangers and delays associated with transcontinental travel, are no longer concerns for today's Justices. Furthermore, circuit riding would confer a number of important benefits on modern Justices, including exposing them to a wider array of legal issues, the laws of various states, and the difficulties faced by the lower courts in implementing the Supreme Court's sweeping (and sometimes confounding) rulings. Equally important, having the Justices perform work on the circuit courts is both reasonable and workable, and closely matches the competencies of the Justices to the courts on which they would sit. This Article argues that it is time to renew an important component of the framers' vision for a vital and independent judiciary: the practice of circuit riding. In remembering President Gerald Ford and the circumstances that made him the nation's 38th president, Eric Muller at Is That Legal? recommends the book 31 Days by Barry Werth. For the broader context, there is Stanley Kutler, Wars of Watergate: The Last Crisis of Richard Nixon. Meanwhile, the Chronicle of Higher Education suggests that academics will remember Ford for taking "several steps early in his presidency to extend a welcoming hand to academics and other bitter critics of Mr. Nixon's policies who had felt alienated from the White House. Mr. Ford suspended registration for the military draft and started a program to give clemency to people who had resisted it during the Vietnam War." However, "In that and other respects, Mr. Ford's legacy, for both academe and American society in general, was more symbolic than substantive." And, of course, an enduring legacy of the Ford presidency is the long tenure of Supreme Court Justice John Paul Stevens, nominated by President Ford to replace William O. Douglas in 1975. Update: SCOTUS Blog has an interesting post on Ford and the Court, here. Another update: Michael Dorf calls Stevens "Ford's greatest legacy" in this post. This year's Reid Prize was awarded to Daniel J. Hulsebosch, for Constituting Empire: New York and the Transformation of Constitutionalism in the Atlantic World, 1664-1830 (University of North Carolina Press). The Committee's citation read: "Daniel Hulsebosch's book offers a sweeping reinterpretation of early American constitutional history that takes the reader from the imperial constitution of Lord Coke to the constitutional imperialism of Chancellor Kent. The heart of the analysis reassesses the meaning of the American Revolution as a constitutional event. Bringing original sources to light, using canonical sources in new ways, and building on the work of John Reid that has forced historians to take the legal grievances of the eighteenth century seriously, Hulsebosch demonstrates that the state and federal constitutions were shaped by North America's imperial past. He shows how the raw material of the English constitution got remade by colonists and imperial agents on the ground, as well as by the British American lawyers who are now called Founding Fathers. He also illuminates the process by which legal practices were abstracted into formal ideas and how this formalization was a means to an end: first to unite a transatlantic empire, then to forge a more perfect Union. Constituting Empire does not pretend to have the last word on the American founding. But it may well have pioneered a new line of scholarship exploring the social politics of constitutionalism." A moment in civil rights history is being remembered as fans around the world say good-bye to James Brown. The "Godfather of Soul" was scheduled to perform in Boston the day after Martin Luther King, Jr.'s assassination in April 1968. Boston leaders urged Brown to cancel the show, as other cities erupted in violence. Instead, Brown arranged for the show to be broadcast live, and went on radio to encourage African Americans to stay home and watch. As the New York Times put it, "Boston was spared the riots that took place in other cities. 'Don't just react in a way that's going to destroy your community,' he urged." He then traveled to Washington, D.C., which had been hit with riots, to urge restraint. You can see a clip of the historic Boston concert on YouTube. Brown's biography and work is described on his website, here. A reader, Mojave Joe, has posted a helpful correction: "J. Anthony Lukas, in his book Common Ground, says that Brown did not want to be on T.V. because it would hurt him at the box office and because it would breach another contract that he had. Brown said he would do the show only if the city made up the difference, which it did using a secret fund." Several sources report Brown's desire to televise the concert. The New York Times (not infallible!) suggests vaguely: "Instead of canceling his show, he had it televised." I don't have my copy of Lukas with me, but I consider Lukas to be a reputable source, especially on Boston. This Comparative Study investigates the spontaneous convergence of law in the cultural and social milieu of medieval Serbia under the reign of Tsar Stephan Urosh IV Dushan (1331-1355). It argues that legal transplants, as a means of this convergence in the Code of Dushan, constitute a fruitful source of medieval Serbia's legal development. The process of legal transplantation has long been the subject of a polarized debate in international academic circles and has generated opposing approaches to the transfer of legal regulations or entire systems of law from one country to another. The approach to diffusion herein comprises a synthesis of multiple methodologies of comparative law (and jurisprudence on the whole) supplemented with the routes of non-legal disciplines. Such interdisciplinary approach facilitates an exhaustive insight into legal transplants and their applicability as a concept of legal development. This Comparative Study offers a systematic rationalization for legal transplants in Middle-age Serbia and draws some general tendencies with regard to the overall diffusion of law. Ali Ozdogan, American University, has posted an abstract in English and Turkish on SSRN, about a book manuscript, On Wiretapping! (Teknik Dinlemeye Dair!). The Turkish version is available on-line. For the English version, the author can be reached here. ABSTRACT IN ENGLISH: This book has two parts. The first part covers the historical evolution of the American wiretapping legislation, summary of the American Wiretapping Criminal Procedure, the summary of Communication Assistance for Law Enforcement Act of 1994 (CALEA), and the privacy and property right problems in the CALEA and the corresponding suggestions. The second part of the book covers analytical summary and comparative analyses of legal positions of wiretapping in Britain, Canada, Germany, France, Israel, and Turkey. (Note that the manuscript is currently in Turkish. For the English version of the manuscript, please contact to author. ABSTRACT IN TURKISH: Kitap iki bolumden olusmaktadir. Ilk bolumde, Amerikan teknik dinleme mevzuatinin hukuki gelisimi, Amerikan Teknik dinleme ceza usulunun ozeti, Iletisim Sirketlerinin Kolluk Kuvvetlerine Yardimi Kanununun (CALEA) ozetini, CALEA ile ilgili mulkiyet ve ozel hayatina iliskin sorunlar ve cozuum onerileri bulunmaktadir. Ikinci bolumde Ingiliz, Kanada, Alman, Fransiz, Israil ve Turk hukuk sistemlerinde, teknik dinlemenin anayasal ve ceza usul hukuku acisindan yeri, analitik olarak ozetlenmekte ve mukayeseli analizi yapilmaktadir. Harry Scheiber's new edited collection, Earl Warren and the Warren Court: The Legacy in American and Foreign Law, has just been published by Lexington Books. Earl Warren and the Warren Court: The Legacy in American and Foreign Law comprises essays written by leading experts from the fields of law, history, and social science on the most important areas of the Warren Court's contributions in American law. In addition, Scheiber includes appraisals of the Warren Court's influence abroad, written by authorities of legal development in Europe, Latin America, Canada, and East Asia. This book offers a unique set of analyses that portray how innovations in American law generated by the Warren Court led to a reconsideration of law and the judicial role—and in many areas of the world, to transformations in judicial procedure and the advancement of substantive human rights. Also explored within these pages are the personal role of Earl Warren in the shaping of "Warren era" law and the ways in which his character and background influenced his role as Chief Justice. Contributors include: Melissa Cully Anderson, Bruce E. Cain, Jesse H. Choper, Javier A. Couso, Malcolm Feeley, Sheila Foster, Philip Frickey, Tom Ginsburg, Edward L. Greenspan, Vicki C. Jackson, Yale Kalmisar, Kjell Ake Modeer, Harry N. Scheiber, Gordon Silverstein, Eivind Smith, and William Van Alstyne. Warren himself was interested in comparative law. Here's a little essay on correspondence I found in Warren's papers from the Editor of the American Journal of Comparative Law, commiserating with the Justice about the 9th Circuit librarian's return of copies of the journal in 1955 because "Ours is a Federal Court of Appeals library for the court and those having business before it. Obviously the comparable general laws subsisting in other governments, and most of them comparable only to state laws, would infrequently be of weight in determining what the Federal law is or ought to be." One of the notable articles of the year featured on the website of the Chronicle of Higher Education is by Peniel E. Joseph, SUNY Stony Brook, Black Power's Powerful Legacy. Below is a brief excerpt. To see the rest, unfortunately a paid subscription is needed, but you are also likely to be able to access it at a library. Joseph's new book, Waiting 'Til the Midnight Hour: A Narrative History of Black Power in America was published in July 2006 by Henry Holt. As far back as I can remember, I have been fascinated by what has been called the "Black Power" movement. As a young boy in the 1980s, I sat mesmerized before public-television documentaries about the civil-rights struggles of the 1960s. But for me that decade truly came alive through the powerful, often fleeting images of Malcolm X, Stokely Carmichael, Kathleen Neal Cleaver, and Black Panthers, who seemed bolder and more glamorous than anything I had ever seen. In college I devoured books and articles about the movement, with its mysterious and taboo aura. Black power's impact...remains powerfully resonant — however fraught and contentious — as a generation of black politicians, artists, and intellectuals have channeled the new black identity it first articulated in diverse and varied ways. Stokely Carmichael and the wider black-power movement have been overshadowed by annual celebrations of martyrs, icons, political legislation, and landmark court cases commonly associated with the civil-rights era's heroic period. Civil-rights struggles are rightfully acknowledged as having earned black Americans a historic level of dignity. But black power accomplished a no less remarkable task, fueling the casually assertive identity and cultural pride that marks African-American life today. Ultimately, black power accelerated America's reckoning with its uncomfortable, often ugly racial past. In the process, it spurred a debate over racial progress, citizenship, and democracy that would scandalize and help change America. Sociologist Laurie Taylor talks to one of the world's most eminent legal and political philosophers, Ronald Dworkin. Professor Dworkin discusses his concerns on the current state of democracy, liberty and human rights. What role does dignity play in politics? What are the core values that all citizens share? Dworkin is author of Is Democracy Possible Here? Principles for a New Political Debate (Princeton University Press). Adding their thoughts to the debate from the London School of Economics and Political Science are Francesca Klug, Professorial Research Fellow, Centre for the Study of Human Rights; and Julian Le Grand, Richard Titmuss Professor of Social Policy. Former British Conservative politician Michael Portillo presents the final installment in a series revisiting the great moments of history to discover that they often conceal other events of equal but forgotten importance. Nearly 800 years after it was signed, Magna Carta is still venerated as the bedrock of English justice and liberty. Yet in truth its impact was a good deal less far-reaching than is popularly believed. Another document, The Charter of the Forest, signed two years after Magna Carta, was the true charter for the common man. Michael Portillo goes in search of this forgotten manifesto for English rural life. For those interested in quantitative historical research: Kirk A. Randazzo, Univ. of Kentucky, Director of the S. Sidney Ulmer Project for Research in Law and Judicial Politics, just announced on the Law & Courts Listerv a major expansion of an important database on the federal courts, accessible on a website maintained at the University of Kentucky. The database has information about attributes of U.S. lower federal court judges. Also on the site are links to data on the United States Supreme Court, including voting data, and data on State Supreme Courts. For more information, click here. This project, originally compiled by Gary Zuk, Deborah J. Barrow, and Gerard S. Gryski, was undertaken to compile a definitive database on the personal, social, economic, career and political attributes of judges who served on the United States Courts of Appeals from 1801 to 1994. Recent additions by Gerard Gryski and Gary Zuk have expanded the data: The Appeals Court Attribute dataset contains information on judges who served from 1801-2000 (and partial information on judges through 2004); and, the District Court Attribute dataset contains information on judges who served from 1789-2000 (and partial information on judges through 2004). The databases include conventional social background variables such as appointing president, religion, political party affiliation, education and prior experience. In addition, unique items are provided such as the temporal sequence of prior career experiences, the timing of and reason for leaving the bench, gender, race and ethnicity, position numbering analogous to the scheme used for the Supreme Court, American Bar Association rating, and net worth. The second objective of this project was to merge these data with the Appeals Court Database, compiled by Donald R. Songer, and therefore includes a unique identification number for each judge. The combined databases should enable scholars to explore 1) intra- and inter-circuit fluctuation in the distribution of social background characteristics, 2) generational and presidential cohort variation in these attributes and, 3) state and partisan control of seats. Before the Christmas truce, wars in Europe were conducted with, if it's possible, more civility. After the Christmas truce, that all disappeared. "In the past, particularly in Britain, war was thought of almost like sport. Your enemy was not really an enemy, but an opponent," [historian Patrick] Keefe said. "There was something kind of courtly about it." During the Christmas truce, before soldiers began kicking around a soccer ball, they worked together to clear bodies from No Man's Land. They celebrated for just one day, then officers directing the war soon imposed a crackdown, threatening severe consequences for any man who fraternized with the enemy. In addition to trench warfare, World War I introduced machine gun shells, zeppelins and tanks, Keefe said, weapons which allowed soldiers to remain farther apart physically. "It's more difficult to dehumanize your enemy when you're just across a short little trench from them," Keefe said. "The farther you get from the person you're fighting, the more mechanized and dehumanized the process of warfare becomes." With the winds of war blowing again, Keefe said, the current state of technology all but rules out a recurrence of the events depicted in "The Christmas Truce." "I wouldn't bet on it happening in Iraq." Despite the lavish attention paid to the Ninth as a possible source of unenumerated rights, surprisingly little attention has been paid to actual text. Although often raised in opposition to reading the Due Process Clause as incorporating only textual rights, the text of the Ninth has nothing to do with interpretation of enumerated rights such as those contained in the Fourteenth Amendment. No matter how narrowly one construes the Fourteenth, the Ninth merely demands that such enumerated rights not be construed to deny or disparage other rights retained by the people. In fact, the standard theory of the Ninth places the text in considerable tension with that of the Tenth. Although both the Ninth and Tenth Amendments close with the same reference to “the people,” most contemporary scholars and courts treat the same term in the two amendments as having opposite meanings, with the Ninth referring to a single national people and Tenth referring to the people in the several states. Finally, recent historical evidence reveals that for more than one hundred years after its enactment, courts applied the Ninth Amendment in a manner that preserved the autonomous rights of the states. This seems out of sync with a text that speaks only of the retained rights of the people, not the states. This article addresses these and other textual mysteries of the Ninth Amendment. The over-all effort is to construct a text-based theory of the Ninth that both explains its historical application and reconciles the Amendment with other texts in the Constitution such as the Tenth and Fourteenth Amendments. Particular attention is paid to the meaning of “deny or disparage,” the distinction between “rights retained” and “rights assigned,” and the relationship between rights retained by the people under the Ninth Amendment, and powers reserved to the people under the Tenth. The article closes by sketching a textual-historical approach to judicial enforcement of the Ninth Amendment in a manner that reconciles the text with the Fourteenth Amendment. It is not too late to shop on-line for the perfect holiday gift for your favorite student interested in legal history: Student membership in the American Society for Legal History! Student membership is only $20, a bargain when you consider that it includes a subscription to the Law and History Review, the premier legal history journal, and a 30% discount on legal history books published by the University of North Carolina Press in the Studies in Legal History Series. And, of course, there is the best benefit of all: being able to say that you're a bona fide, card carrying legal historian. For membership info, click here. There is a secure site where you can pay by credit card, and help your favorite student become a legal historian right now! There is also membership info for non-students, with sliding scale membership fees based on income, so you can purchase a membership for all the legal historians on your gift list! This paper discusses a discontinuity between the ways in which legal education has historically sought to reconstruct the soul of lawyers-in-training and the contemporary conceit that legal education can be value-free. It identifies a gap between early 21st century narrowly technocratic approaches to legal professionalism - epitimized by Enron professionalism and earlier conceptions of lawyering. A desire to instill a moral sensibility in apprentice lawyers weighed heavily in an earlier generation's thinking about legal education everywhere in the common law world, giving rise to the programmes, schemes, and imaginings that provided templates for contemporary university legal training. With surprising consistency, law teachers have sought to devise pedagogical strategies aimed at constituting or remaking the entire human subject - constructing, as it were, a total jurist. They have done so in order to advance good for its own sake, but also to protect against the mere half-lawyer. The American Historical Association will take up three resolutions, including a Resolution on United States Government Practices Inimical to the Values of the Historical Profession, at its Business Meeting January 6, at the AHA annual meeting in Atlanta. (Other resolutions concern opposition to speech codes and subscribing to The Informed Meetings Exchange to have access to information to avoid conference hotels with labor disputes. Details are here.) The Resolution on U.S. Government Practices is below. If you read down to the end, you will see that among other things, it is an anti-war resolution. To do whatever they can to bring the Iraq war to a speedy conclusion. It is widely held that there are no indigenous roots in China for the rule of law; it is an import from the West. The Chinese legal tradition, rather, is rule by law, as elaborated in ancient Legalist texts such as the Han Feizi. According to the conventional reading of these texts, law is amoral and an instrument in the hands of a central ruler who uses it to consolidate and maintain power. The ruler is the source of all law and stands above the law, so that law, in the final analysis, is whatever pleases the ruler. This essay argues, to the contrary, that the instrumentalism of the Han Feizi is more sophisticated and more principled than the conventional reading recognizes. It suggests that, by examining the text of the Han Feizi through the lens provided by American legal theorist Lon Fuller, we can observe an explicit articulation of what Fuller called the internal morality of law. The principles of this morality are elaborated and their importance explained. In this way, the Han Feizi is retrieved as a significant reference point for thinking about legal reform in China today. Scott Silverstone, an assistant professor of Political Science at the United States Military Academy, has written an intriguing and conceptually informative book about the relationship between a republican frame of government and foreign policy, more particularly the propensity of republics to engage in war. He believes that republics do indeed tend to be less warlike, because the war-making power is fragmented among the branches of government (separation of powers) and the executive is much more limited in the scope of his (someday, her) activity. In the American case, Silverstone especially points to the impact of federalism as a limitation on the capacity of the United States to engage in war; the extended republic, with its vast diversity of interests, enables sectional views to obtain representation in Congress and acts as a brake on warlike ambitions. To show the validity of his view, Silverstone goes through a number of American foreign policy questions from 1790 to 1860. He gives us an unusual and interesting view of foreign affairs of the early republic, and his conclusions merit careful consideration; however, in a strange and unusual way, he also brings to the fore some distinct methodological questions. Legal origin - civil vs. common law - is said in much modern economic work to determine the strength of financial markets and the structure of corporate ownership, even in the world's richer nations. The main means are thought to lie in how investor protection and property protection connect to civil and common law legal origin. But, I show here, although stockholder protection, property rights, and their supporting legal institutions are quite important, legal origin is not their foundation. Modern politics is an alternative explanation for divergent ownership structures and the differing depths of securities markets in the world's richer nations. Some legislatures respect property and stock markets, instructing their regulators to promote financial markets; some do not. Brute facts of the twentieth century - the total devastation of many key nations, wrecking many of their prior institutions - predict modern postwar financial markets' strength well and tie closely to postwar divergences in politics and policies in the world's richest nations. Nearly every core civil law nation suffered military invasion and occupation in the twentieth century - the kinds of systemic shocks that destroy even strong institutions - while no core common law nation collapsed under that kind of catastrophe. The interests and ideologies that thereafter dominated in the world's richest nations and those nations' basic economic tasks (such as postwar reconstruction for many) varied over the last half century, and these differences in politics and tasks made one collection of the world's richer nations amenable to stock markets and another indifferent or antagonistic. These political economy ideas are better positioned than legal origin concepts to explain the differing importance of financial markets in the wealthy West. I knew that other nations keenly followed civil rights in Birmingham, and often argued that the U.S. must live up to its own ideals before criticizing other nations for human rights abuses. (On that point, go here.) But I have never seen the point made quite this way. The work of Morton Horwitz, Harvard Law School, will be the focus of the Legal History Section Program at the Association of American Law Schools meeting in Washington, D.C., on January 5. Registration is required to attend the panel. Registration information is here. Friday, January 5, 3:30 - 5:15 p.m. This panel will examine Professor Horwitz’s influence on modern American legal historiography. In 1977, Horwitz published his groundbreaking first book, The Transformation of American Law, 1780-1850, one of the most important and controversial books in the field of American legal history. 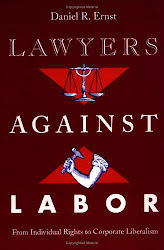 This book challenged the so-called ‘consensus school,’ which minimized the role of class conflict in legal history and in American history more broadly. Professor Horwitz’s The Transformation of American Law, 1870-1960: The Crisis of Legal Orthodoxy was both a sequel and a break from the first book. In recent years, Professor Horwitz has turned to the history of the Warren Court, and his work continues to be a tremendous scholarly influence as well as the subject of continuing criticism. Professor Horwitz will provide a brief response at the panel’s conclusion. Blogging note: I will not be able to blog from the meeting, since I will be at the American Historical Association annual meeting, unfortunately the same dates. If anyone attending the AALS would like to e-mail me reports for the blog, you can find my e-mail here. When should the government be able to keep information secret in the name of national security? Who should decide when such confidentiality is warranted, and what checks should exist to ensure that these decisions do not overreach? How should the law treat those who disclose confidential information in the interest of keeping the public informed? What protection, if any, should the press have for publishing confidential information and for preserving the anonymity of sources who give them confidential information? These and other issues will be discussed by Mr. Ellsberg, who in 1971 delivered copies of the Pentagon Papers to the New York Times and the Washington Post and is the author of Secrets: A Memoir of Vietnam and the Pentagon Papers; Professor Easton, co-author of an article with Dr. Martin Halstuk of Pennsylvania State University about the application of the Freedom of Information Act to the CIA; Professor McDonald, author of articles about the scope of First Amendment protection for information gathering, including the right of the public or press to access government information; and Professor Stone, author of Perilous Times: Free Speech in Wartime from the Sedition Act of 1798 to the War on Terrorism. The year 2007 will mark the 50th anniversary of the movie 12 Angry Men. This movie offers the only portrayal of an active jury in the history of American film-making. The movie has withstood the test of time, not only because of the great ensemble cast, but also because it portrays the jury as a group of twelve ordinary men who learn in the course of their deliberations what it means to be a jury. The learning process is not an easy one. The deliberations are marked by clashing personalities and marred by prejudice. Yet, the jurors, led by the persevering and patient Henry Fonda, eventually learn to put aside prejudice and personal enmity, to piece together the evidence with a critical eye, and to deliver a verdict of not-guilty based on their reasonable doubt. When this movie was released fifty years ago, audiences greeted it with little enthusiasm. Yet, the movie has endured and is now recognized as a classic. Even though the movie offers a fictional account, it provides a rare glimpse into jury deliberations. It continues to raise such questions as: Is this how a jury should deliberate? Is Henry Fonda an ideal juror? Is this fictional jury deliberation consistent with actual jury deliberations now that we have fifty years of empirical studies? The panel will address these and other questions. It is not too early to reflect on the meaning of the Bush presidency for the Constitution. The last section program related to this topic in January 2002 occurred in the aftermath of the September 11, 2001 terrorist attacks, the executive order establishing military commissions, and the war in Afghanistan. With the benefit of hindsight, we can see that the full implications of the Bush presidency for our constitutional order lay in the future. The legal and constitutional meaning of the September 2001 “Authorization to Use Military Force” and the subsequent “Global War on Terror,” the 2003 Iraq War, the 2004 “torture memo” controversy, the 2005 revelations concerning the National Security Agency and the bypassing of the Foreign Intelligence Surveillance Act have still not been properly digested and understood by constitutional law scholars. In addition, there have been some limited interventions by the federal judiciary and the Supreme Court in the 2004 trilogy of cases headlined by Hamdi v. Rumsfeld, and last Term’s decision in Hamdan v. Rumsfeld. At the level of theory, the concept of the “unitary executive” was actually debated by Congress during the fall 2005 Supreme Court nominations of Chief Justice Roberts and Justice Alito. It is likely that the meaning of the Bush presidency for constitutional theory goes well beyond this. After 9/11, the Bush presidency was increasingly marked by themes and narratives that expressed a sense that constitutional change had occurred. The idea that 9/11 was inherently a sharp break with the past, that statutes adopted in the 1970s were outmoded, that the experience of World War II, the Korean War, and the Vietnam War were irrelevant all involved a self-conscious attempt to found a new age for constitutional and international relations law. Going forward, the Bush presidency projected an indefinite war on militant Islam, the development of a domestic dimension to the Commander-in-Chief power, and the United States as a theater of war. The panel will attempt to take into consideration all of these elements. Legal pluralists have long noted that “law” cannot be viewed solely as the coercive commands of a sovereign power. Yet, while studies of pluralism have historically tended to focus on religious communities, ethnic enclaves, and the interaction between colonial and indigenous law-making, scholars are increasingly turning to other sites where multiple legal systems interact. Indeed, interest in globalization, with its varied normative centers—international organizations, transnational and international courts, NGOs, social movements, multinational corporations, online communities, industry standards, trade finance bankers, terrorist networks, and the like—promises to make pluralist insights relevant to a new generation of academic inquiry. This panel will take stock of legal pluralism as an interpretive lens and consider possible directions for future scholarship. Emory University has announced that it will spend $2 million to make Deborah Lipstadt's website, Holocaust Denial on Trial, available in a number of non-English languages, including Arabic, Farsi, and Russian. The initiative is partially in response to Iran's recent so-called conference on the Holocaust. Professor Lipstat also blogs at History on Trial. The website focuses on Lipstadt's successful defense to a libel action brought against her by Holocaust denier David Irving in England. In other news...Irving was released from prison in Austria today, after serving part of a sentence for Holocaust denial. That story is here. At midnight on Dec. 31, hundreds of millions of pages of secret documents will be instantly declassified, including many F.B.I. cold war files on investigations of people suspected of being Communist sympathizers. After years of extensions sought by federal agencies behaving like college students facing a term paper, the end of 2006 means the government’s first automatic declassification of records. Secret documents 25 years old or older will lose their classified status without so much as the stroke of a pen, unless agencies have sought exemptions on the ground that the material remains secret. huge effects on public access, despite the large numbers of intelligence documents that have been exempted. Gearing up to review aging records to meet the deadline, agencies have declassified more than one billion pages, shedding light on the Cuban missile crisis, the Vietnam War and the network of Soviet agents in the American government. Several hundred million pages will be declassified at midnight on Dec. 31, including 270 million pages at the Federal Bureau of Investigation, which has lagged most agencies in reviews. Greater access to previously classified documents for which there is no continuing secrecy need is important -- and not just for historians who work on national security issues. Many records across government agencies bear classification stamps, and you can find access to records barred, not just for research the war in Vietnam or antisubversive investigations during the Cold War, but also civil rights matters. And as history has become first international, and now transnational (see new issue of American Historical Review, with much on transnational history) foreign affairs records become a valuable source to track international reactions to domestic developments of various kinds. Diplomatic files often bear classification stamps. So greater access is something that a broad range of legal historians have a stake in. Research note: I have often argued that there is much in U.S. diplomatic files at the National Archives for legal historians across fields, since these records can place "domestic" topics in a global context. This research is not easy for the uninitiated, but I wrote a research guide, available here. It focuses on research on African constitutional development, but the basic information about breaking the code to diplomatic history research at the U.S. National Archives can help researchers in other fields. The two volumes under review are the first of what will be a five-volume oral history of the career of the man whom René Coty labeled, “the most illustrious of Frenchmen,” at the moment that Coty, then President of the terminally ill Fourth Republic, felt compelled to suggest that Charles de Gaulle be brought back to power. This was in May 1958 when de Gaulle, after twelve long years of a “crossing of the desert,” as the French expression goes, made his political comeback. He would have preferred it sooner. “I’m ten years too old,” he told his niece at the time. (II, 256). De Gaulle reigned (I cannot think of a better word) from 1958 until 1969, having created, in François Furet’s words, a “monarchy of the Republic.” He died a year later, in 1970. The first of these volumes, La guerre et la Libération, covers the period of de Gaulle’s wartime experience, 1939-1945, up until his abrupt resignation as President at the beginning of the following year. The second volume, Le temps du Rassemblement (1946-1958), is focused on de Gaulle’s ultimately failed attempt to create a political movement around himself, following which came his “crossing of the desert,” referred to above, during which he wrote his war memoirs, whose elegance and profundity surprised and dazzled the French public. Then, more than twelve years after his resignation, he returned again to power. For comments: Having trouble with Google? If you've wanted to post comments and you've had trouble with Google registration....you're not the only one. I couldn't access the blog for an hour today due to an impenetrable Google account access problem. Other bloggers have had difficulty (see this), and, if using Microsoft Explorer, have gotten around it by logging in from a different browser, such as Firefox. Might be worth a try. Many apologies for the inconvenience. Blogger has been migrating to a new system, resulting in glitches, and this is one. I encourage your comments, and hope you will persevere. Updated, thanks to a tip from Jon Wiener. There is much fuller coverage of Wiener's victory today in his long challenge to the FBI's refusal to release John Lennon files, in the Los Angeles Times, including details about the case, in which the ACLU represented Wiener against the FBI for 23 years. He prevailed in the 9th Circuit in 1991. This prompted a settlement leading to the release of all but the remaining ten documents. In the next round of litigation, Wiener won on summary judgment in federal district court in 2004. A 9th Circuit mediator worked out the settlement that resulted in today's release of documents. ...You see how historians and lawyers need each other? While waiting for all of this to get worked out, Wiener kept writing, publishing Come Together: John Lennon in His Time in 1984, and, appropriately, Gimme Some Truth: The John Lennon FBI Files in 2000. The LA Times also has a link to the newly released Lennon documents, here. There's also a tiny photo gallery, with photos of Lennon, Wiener, and the Beatles, circa 1967. No photo of Wiener's lawyer, ACLU Southern Calif. lawyer Mark Rosenbaum, but I found one here. Another update: To read Wiener on this, in The Nation, go here. The New York Times is reporting that the FBI has finally brought a 25 year battle with historian Jon Wiener to an end, releasing files on John Lennon that Wiener sought in 1981 for a biography of Lennon. But maybe the FBI isn't so bad. Last I checked, the Justice Department still had not released its files pertaining to the writing of the government brief in Brown v. Board of Education (1954), which even a top Justice Dept. official was unable to shake free for me while I was writing Cold War Civil Rights. Instead, I used State Department records. At least for what I was looking for (internal government memoranda on the case), State Dept. records and non-DoJ executive branch files were much more easily available than materials from Justice. The 10 pages contain new details about Lennon's ties to leftist and anti-war groups in London in the early 1970s, but nothing indicating government officials considered the former Beatle a serious threat, historian Jon Wiener told the Los Angeles Times in Wednesday's editions. The FBI had unsuccessfully argued that an unnamed foreign government secretly provided the information, and releasing the documents could lead to diplomatic, political or economic retaliation against the United States.